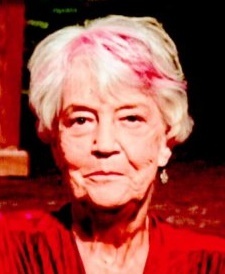 Bonnie B. Mueller age 75 passed away January 21, 2019 at the Aurora Memorial Hospital of Burlington in Burlington, WI. She was born on July 3, 1943 in Chicago, IL. The daughter of the late Grover and Marjorie (Congdon) Becker. On August 22, 1961 in Chicago, IL she was united in marriage to Richard C. Mueller who preceded her in death on October 25, 2018. During her life she attended St. John’s Catholic Church. She was a former Girl Scout leader and was a former member of the Twin Runner’s Snowmobile Club of Twin Lakes, WI. She was an avid Green Bay Packers fan. Bonnie is survived by her three children: Michelle (Doug) Anderson of Genoa City, WI. Debbie (Andy) Seitz of Union Grove, WI., and Kari (Grant) Strobel of Waterford, WI. Further survived by her five grandchildren: Stephanie (Matt Eisenzimmer) Cramer, Taylor and Lexie Cramer, Cole and Ava Strobel. Sister to Jan Mosley. She was preceded in death by her sister Robbin Zomick.